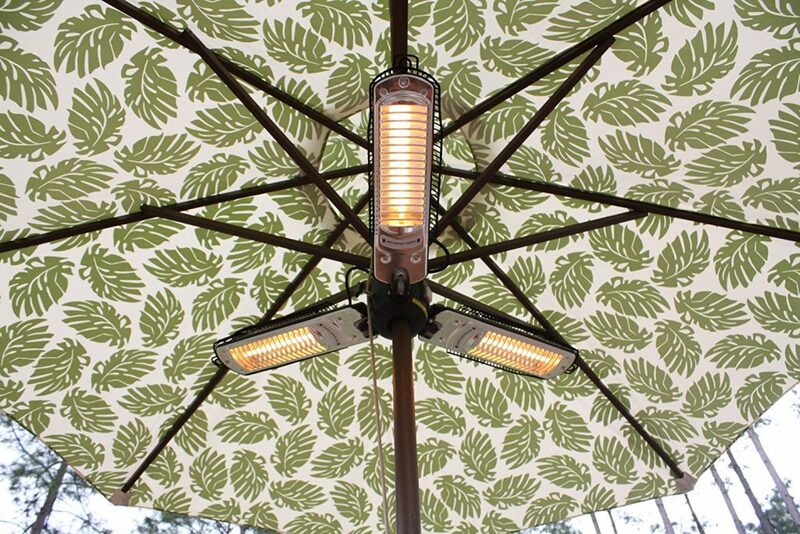 Things that we noticed about the Fire Sense Infrared Parasol heater at first glance. 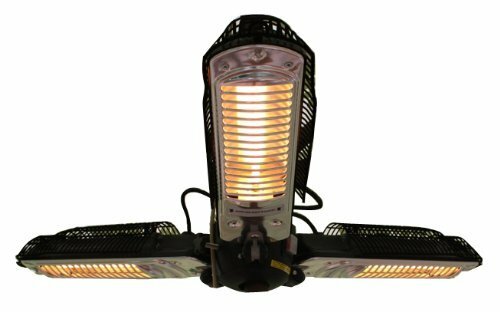 The Fire sense infrared patio heater can be use indoor and outdoor with the pole attachment and it 1500 Watts and can be hooked up to a standard household outlet. The infrared Fire Sense umbrella heater measures 39 x 4 x 3.3 inches. Large enough that you can sit close to it and small enough to fit under the folded umbrella. like always we look at the lower ratings to see if there are things that were mentioned more than once. In this case is was the fact that some people mentioned that it does not give to much heat. Like we mentioned in all our patio heater reviews, you can not expect an outdoor heater to keep you warm on a very cold night. These things are designed for cooler night and that is what we looked at. Overall this patio heater received an average of 3.9 out of 5 stars. Reason for this lower ratings is like we mentioned that some people rated it lower because they expected more heat form it. This has nothing to do with the quality of the patio heater. The performance is good on cooler nights is what most buyer mention. With temperatures in the 50’s it still works good. With lower temperatures like a Chicago resident mentioned, in the 40’s there is not enough output to keep you warm. This makes sense to me with 1500 Watts and that is not what it is made for. What people liked it is that it keeps the table empty and compared to a table top heater it does not block you view to see the person on the other side of the table. I think that the lower rating of 3.9 stars is no true reflection of the quality of this infrared electric patio heater. Since the lower ratings all were about the heat-output on cold nights and these patio heaters are made for cooler night I think the overall rating should be at-least a 4.3 stars. The 7 foot cord and the fact that you can hook it up to a standard outlet is in my opinion a great feature. I like the option of the 3 settings. 500, 100 and 1500 Watts to adjust the heat to the setting you need. Electric patio heaters are much more quite than the propane heaters that always make that little hissing sound. The pole attachment seems to be very easy to use. We read no complaints about installation problems. Some umbrella’s give a little problem with folding it down while the Fire Sense patio heat is attached. It was mentioned that someone had to lower it first before the umbrella could be folded. Overall we can recommend this a good by. 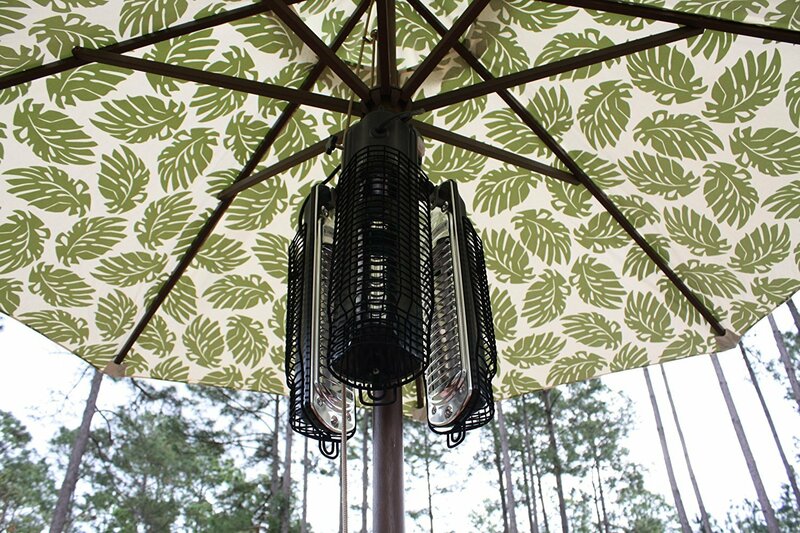 If you would like a small propane heater however we think you should have a look at the table top patio heaters we reviewed and can be compared to the umbrella patio heaters in output. You can read more umbrella patio heater reviews here.